You’ve tried it all—early mornings at the gym, cycling class after work, whole foods diet, giving up carbs—and still, your body hangs onto bulges and rolls of stubborn fat. Any fat that is resistant to diet and exercise sometimes requires an entirely different eradication approach. CoolSculpting® is a safe, non-surgical treatment that can reduce stubborn fat and improve your body contours. CoolSculpting® reduces body fat without any incisions, surgical tools, general anesthesia, operating room fees, or scarring. The CoolSculpting® device is placed over the treatment area and delivers a cooling technology through the dermal layer, freezing the fat cells so the body can later flush them out. 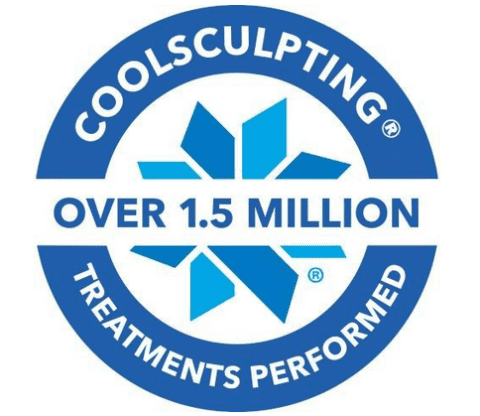 Without any surgery, CoolSculpting® can reduce the number of fat cells in the treated area by as much as 25 percent! CoolSculpting® has been clinically proven and approved by the U.S. Food and Drug Administration to eliminate persistent fat. The treatment is safe and effective for reducing excess fat that clings to the body despite a healthy lifestyle. The skin and other tissues are unharmed; only the fat cells are frozen. The body then flushes out the crystallized fat cells over the following weeks, leading to a progressively more sculpted body contour. The CoolSculpting® procedure is a comfortable, relaxing procedure that only takes about 35 to 45 minutes per area (depending on the area undergoing treatment, we can treat up to two areas simultaneously to cut down on time). Coldness or pressure may be felt in the target area during treatment, but it is not painful. Many patients even take a nap, use their phones, or read a book during their session. Any surgical procedure for fat removal will have downtime requiring you to take time off work for the recovery. But with CoolSculpting®, there is no surgery or downtime. Immediately after your treatment, you can continue with your scheduled activities, and your body will not need to rest or recover. This adds a level of convenience and comfort that other procedures cannot offer. CoolSculpting® is not just for one area of the body. It can be used to reduce fat in multiple areas, including the abdomen, flanks, back, buttocks, thighs, upper arms, and neck. Furthermore, your CoolSculpting® treatment can be customized to address more than one area on the same day. With just a few treatment sessions for all your trouble areas, you can significantly reduce excess fat and develop noticeably leaner body contours.